Venezuela's economy has been devastated by the drop in oil prices which came on the back of years of financial mismanagement by the socialist government of the Latin American nation. It's crunch time for Venezuela with $9.5 billion in maturing debt and interest payments due this year, $1.5 billion of which at the end of the month. Venezuela's foreign exchange reserves have plummeted as hard currency becomes scarcer, and shortages of basic goods and inflation in triple digits stir up anger inside the country. Venezuela has the world's 16th largest hoard of gold. At 361 tonnes as of the start of October the bullion represents 65.8% of the country's roughly forex reserves according to World Gold Council stats released yesterday. At today's price 361 tonnes of gold is worth $14.6 billion. "Gold swaps allow central banks to receive cash from financial institutions in exchange for lending gold during a specific period of time. "They do not tend to affect gold prices because the gold is still owned by Venezuela and does not enter the market." According to the report the country has also entered into several secretive swap agreements with the Bank for International Settlements (the central bank of central banks based in Switzerland) in recent years, but the BIS has now stopped citing "risk factors". Another complicating factor is after late president Hugo Chavez repatriated the country's gold holdings in 2011, those bars lost their "certificate of good delivery". Reuters cites sources saying Caracas has taken an "unspecified amount of gold" out of the country to be re-certified, a requirement in swap deals. The country has entered into these type of deals before. 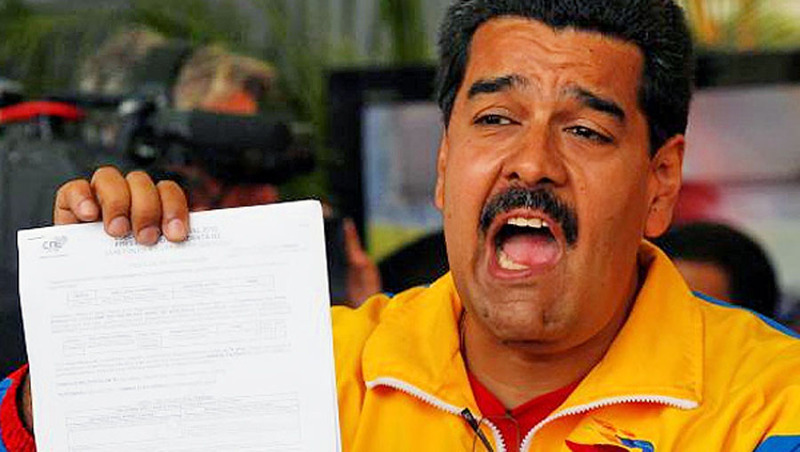 President Nicolas Maduro on behalf of the country's central bank signed a deal with US bank Citigroup to swap $1 billion in cash for about 1.4 million ounces in April last year when gold was changing hands for $1,200 an ounce. While details of the agreement were not disclosed a simple calculation shows Caracas may have received only around $800–$850 per ounce. How much the remaining 12.7 million ounces will fetch is an open question.